Hungary is a landlocked country, which is one reason there isn’t a huge tradition for seafood consumption here. That said, Hungarians do like freshwater fish, particularly in the summer and around the Christmas holidays. This includes variations of carp, catfish, and fogas (pike/perch). 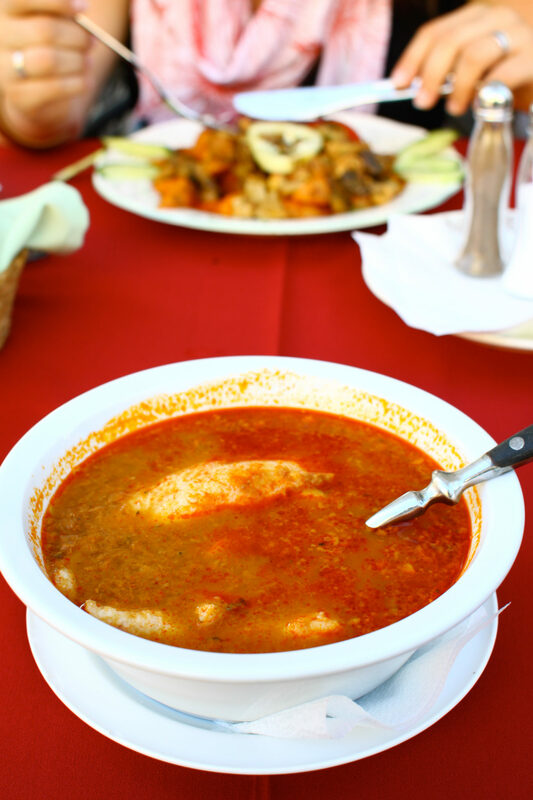 Arguably, the most prized and uniquely Hungarian fish dish is halászlé, which translates into fisherman’s soup. 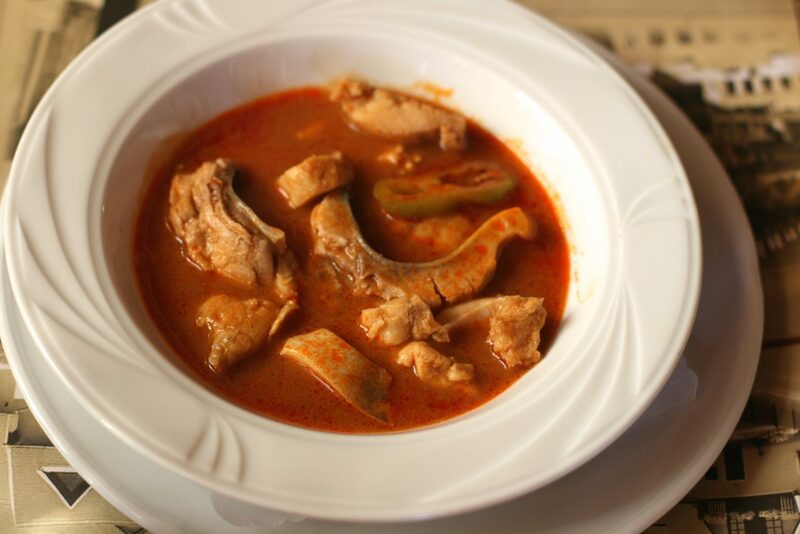 Some dishes benefit from uniformity, being prepared rigorously in one way: chicken paprikás, for instance. 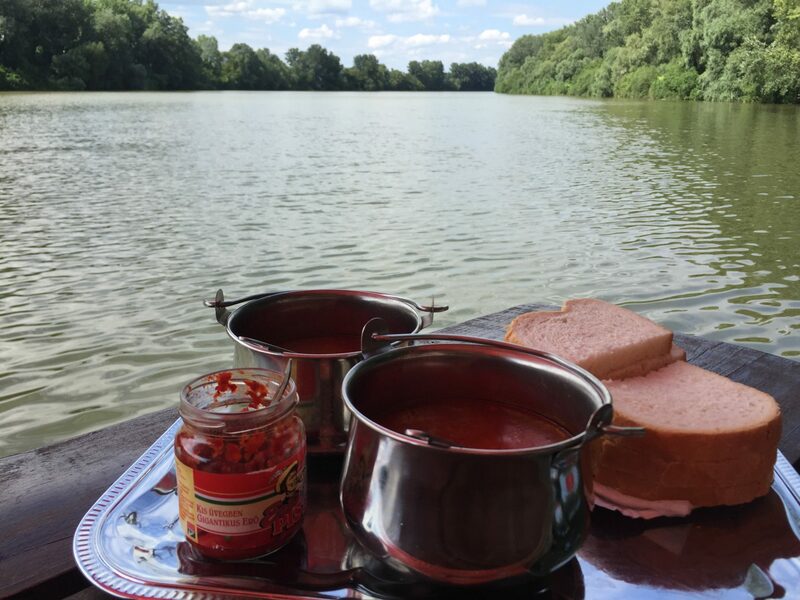 Hungarian fisherman’s soup is not one of those dishes, and can have many variations even within a region. For instance, Szeged halászlé—which is named for the town on the river Tisza—differs noticeably from halászlé from the small city of Baja (located on the banks of the Danube). The former includes multiple types of fish and is run through a sieve. 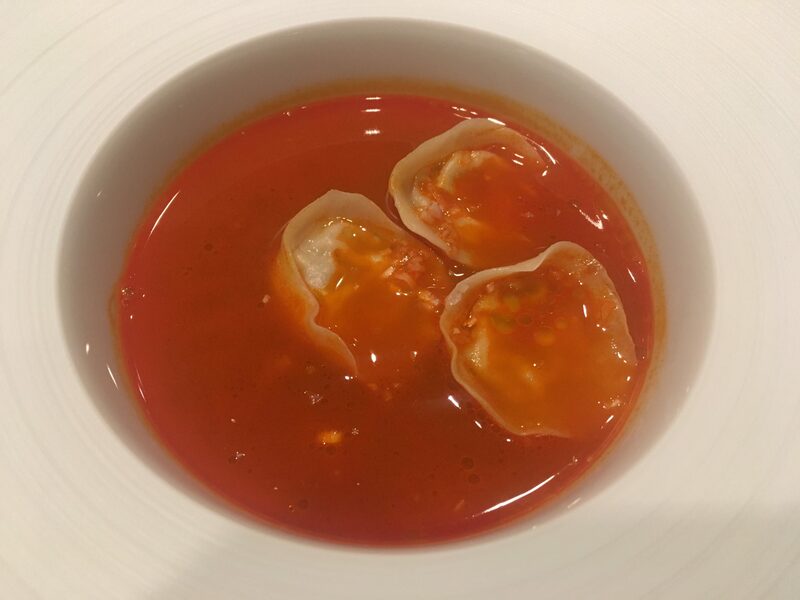 If you are going for Baja halászlé, you can expect it to include gyufatésztá (egg noodle pasta), keeping in line with their fish soup traditions. 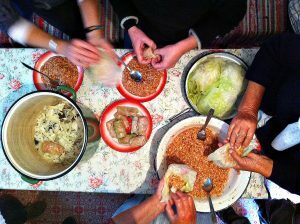 Many variations include fish roe, giving the broth a mealy texture. 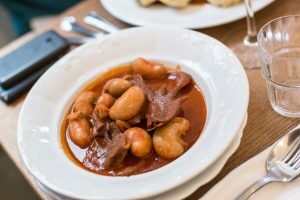 But this being Hungary, all types of halászlé are known for liberal use of paprika, making it one of the few fish dishes that bites back. While carp are the most prevalent fish used in Hungarian fisherman’s soup, some recipes also mix in helpings of pike/perch and catfish. Exact proportions and ingredients are well-guarded secrets, and you will rarely find two that are the same. 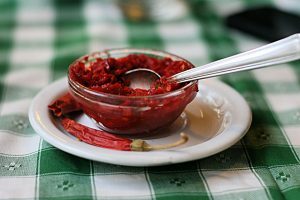 We won’t be giving away any state secrets if we disclose that white wine and tomato paste are frequent additives, and the ratios of hot and sweet paprika are also subject to variation. 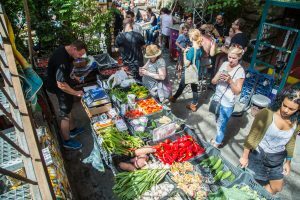 The ability to make a good halászlé is a source of pride among fishermen and chefs along the rivers, and there are multiple festivals and competitions that showcase the dish. 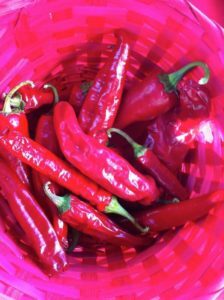 While recipes vary, uniformly expect to see an abundance of fluffy white bread, which always accompanies a bowl of fish soup, and possibly a white wine fröccs, or spritzer, on the side to dull the spicy broth. As with much Hungarian food, the best halászlé is home-made. 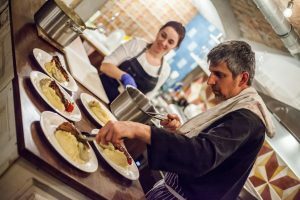 While a truly authentic halászlé should be made to order, there is, as we know, only one restaurant that still prepares it in this labor-intensive way (Rév Csárda in Érsekcsanád). And while wild carp were also called for in most original recipes, restaurant halászlé now contains only farmed fish. Moreover, you will frequently find the use of industrial stock, when homemade stock should be used. Beware of a gray looking halászlé. 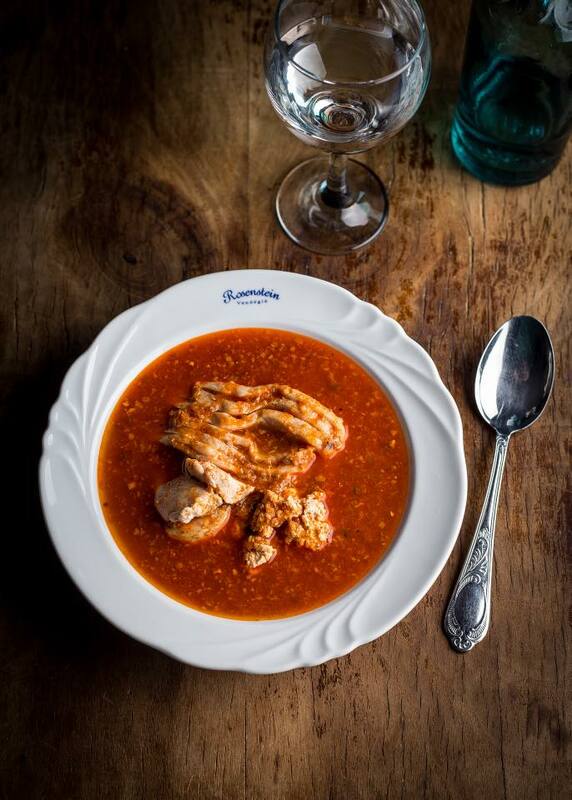 The soup should turn the edges of a white bowl bright fire-engine red as the broth beads against the porcelain. 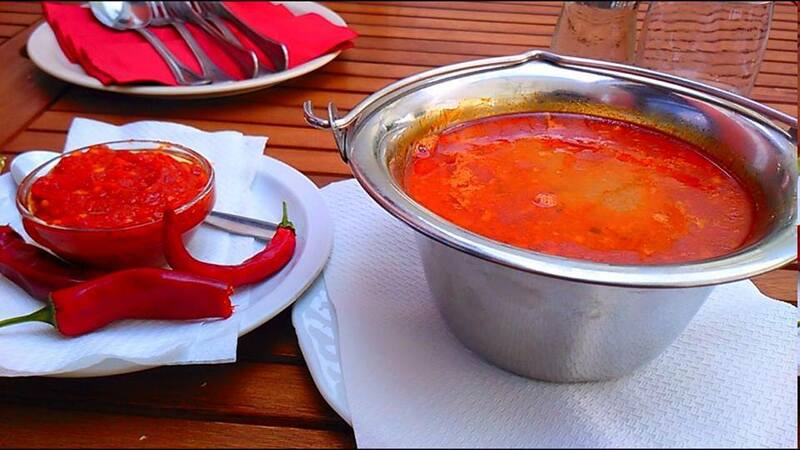 At a quality restaurant you can expect your halászlé to be brought out in a mini-bogrács with a candle lit underneath to keep the cauldron warm as you ladle it into your bowl. The spicy broth should offset the feintly muddy flavor imparted by the carp. Unlike in many other parts of the world, there is no stigma around eating carp in Central and Eastern Europe, especially around Christmas, when it is consumed for luck. 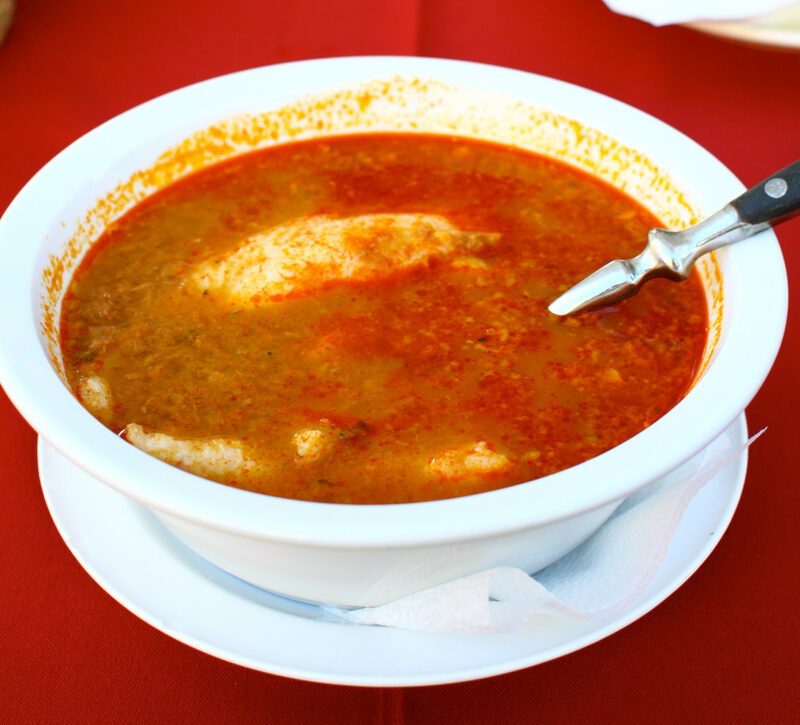 If you were suspicious of carp before trying halászlé, the soup may very well convert you. 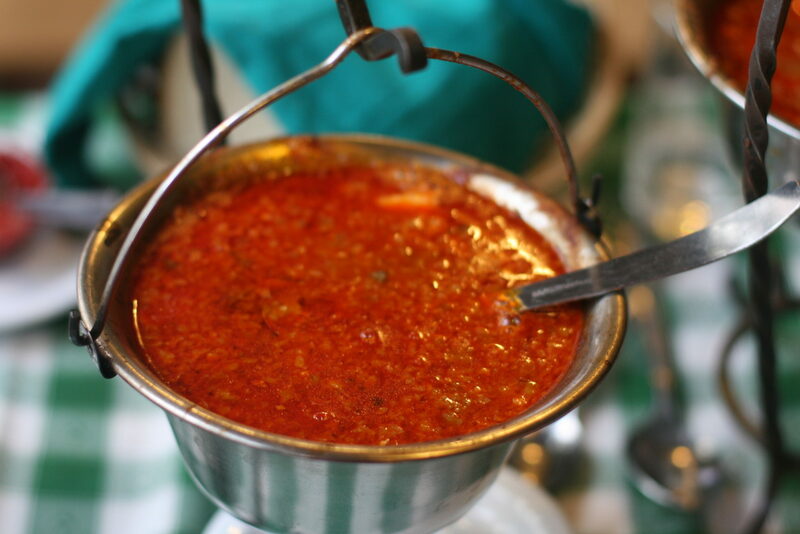 If carp’s not your thing, you can still enjoy harsa halászlé, which is the same soup, only made with catfish. 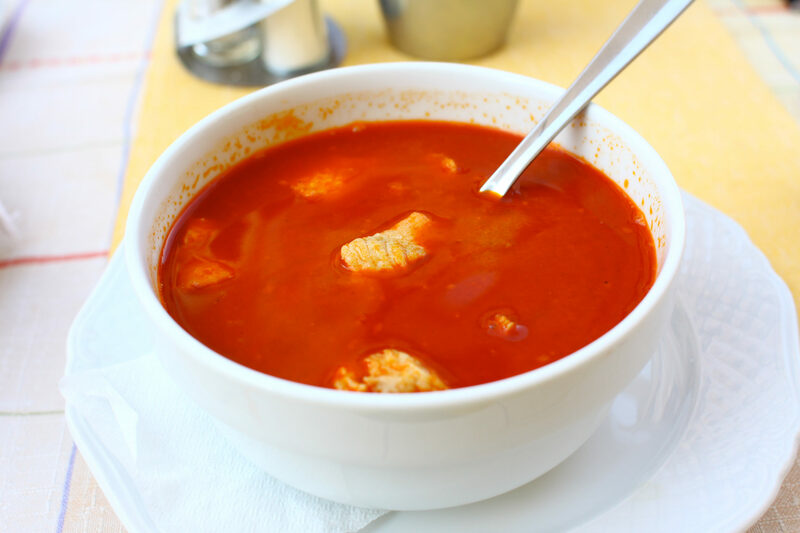 Catfish will be lighter, flakier, and is a variation of the dish that is gaining ground with Hungarian fish soup lovers for its less pungent flavor. Besides, like in American food from the south, spice and the white, flakey catfish just go well together.